While the deadline for filing your 2016 federal income return is still several months off, there are some things you should be doing now in preparation. The Internal Revenue Service (IRS) notes that for most of us, December 31 is the last day to take actions that will affect our tax returns. Charitable contributions are deductible in the year made. Donations charged to a credit card before the end of 2016 count for the 2016 tax year, even if the bill isn’t paid until 2017. Checks to a charity count for 2016 as long as they are mailed by the last day of the year. If you're over age 70 ½ you are generally required to receive payments from your IRAs and workplace retirement plans by the end of the year. However, a special rule allows those who reached 70 ½ in 2016 to wait until April 1, 2017 to receive them. Most workplace retirement account contributions should be made by the end of the year, but taxpayers can make 2016 IRA contributions until April 18, 2017. For 2016, the limit for a 401(k) is $18,000. For traditional and Roth IRAs, the limit is $6,500 if age 50 or older and up to $15,500 for a Simple IRA for age 50 or older. Taxpayers who have moved should tell the U.S. Postal Service, their employers, and the IRS. To notify the IRS, mail IRS Form 8822, Change of Address, to the address listed on the form’s instructions. Taxpayers who buy health insurance through the Health Insurance Marketplace should also notify the Marketplace when they move out of the area covered by their current Marketplace plan. If you changed your name due to marriage or divorce, notify the Social Security Administration (SSA) so the new name will match IRS and SSA records. Also notify the SSA if a dependent’s name changed. A mismatch between the name shown on your tax return and the SSA records can cause problems in the processing of your return and may even delay your refund. Starting January 1, 2017, any Individual Taxpayer Identification Number (ITIN) not used at least once on a tax return in the past three years will no longer be valid for use on a return. In addition, an ITIN with middle digits 78 or 79 will also expire on Jan. 1. Those with expiring ITINs who need to file a return in 2017 must renew their ITIN. Affected ITIN holders can avoid delays by starting the renewal process now. Be sure to allow seven weeks from January 1, 2017, or the mailing date of the Form W-7, whichever is later, for the IRS to notify you of your ITIN application status -- nine to 11 weeks if you wait to submit Form W-7 during the peak filing season, or send it from overseas. Those who fail to renew before filing a return could face a delayed refund and may be ineligible for some important tax credits. For more information, including answers to frequently-asked questions, visit the ITIN information page on IRS.gov. Keeping copies of tax returns is important as the IRS makes changes to protect taxpayers and authenticate their identity. 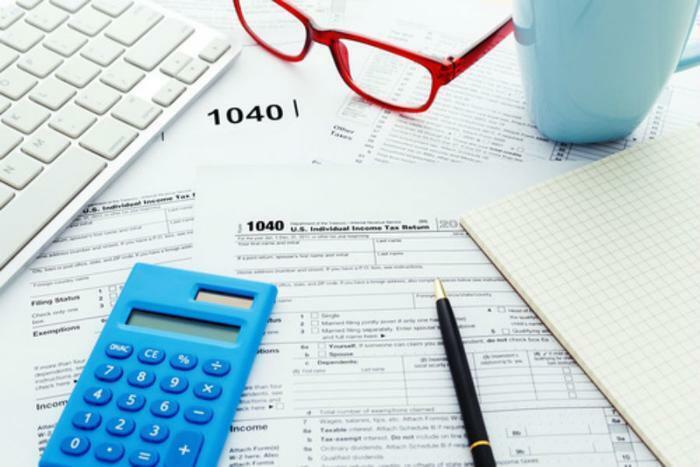 Beginning in 2017, taxpayers using a software product for the first time may need their Adjusted Gross Income amount from a prior tax return to verify their identity. Taxpayers can learn more about how to verify their identity and electronically sign their tax return at Validating Your Electronically Filed Tax Return. Trouble choosing a qualified tax preparer?